‘Just one more, I want to see who the fourth person is in the Super Space Kids team,’ Tommy said. ‘But it’s given me a great story idea, can I write the beginning?’ Charlie said, already heading for the table. 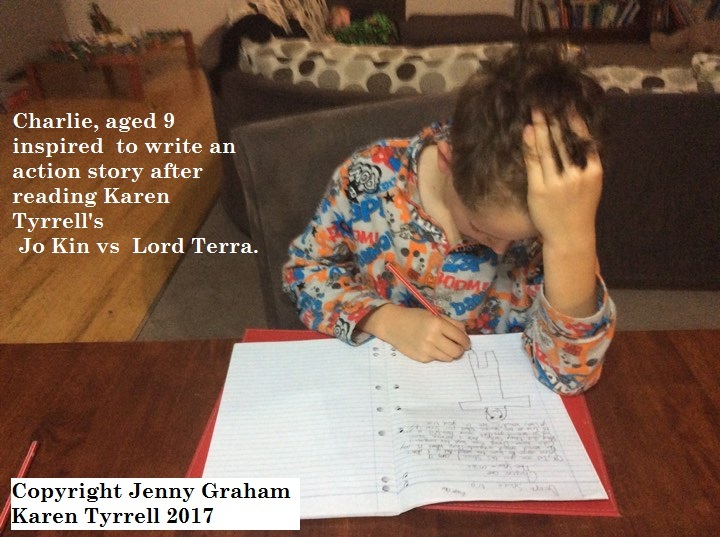 How could a mum say no to her kids wanting to read and write? My answer you can see in the photos below. 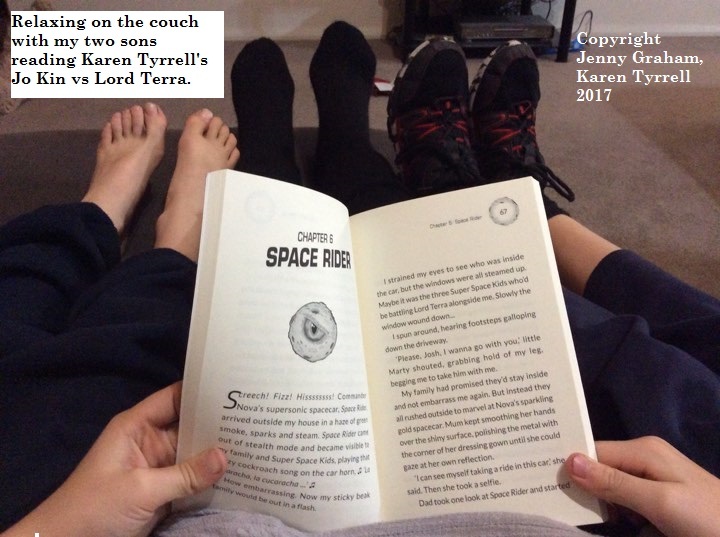 I knew when reading the first chapter aloud to my two boys they were hooked. They felt they had a lot in common with the main character, Jo-Kin, a school kid who enjoyed online games. Although, unfortunately for my boys, that is where the similarities end, as Jo-Kin embarks on a space adventure to save the galaxy and his Commander’s little sister. The adventures take you from the school classroom to outer space with many cool technical gadgets my kids could only dream about, although they are not too sure on some of the food mentioned. 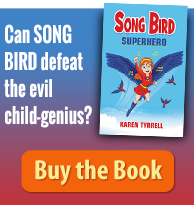 If you are an educator, Karen Tyrrell’s website is filled with ideas on not only this book, but her many other children’s fictional books which deal with bully prevention, environment, resilience and empowerment. 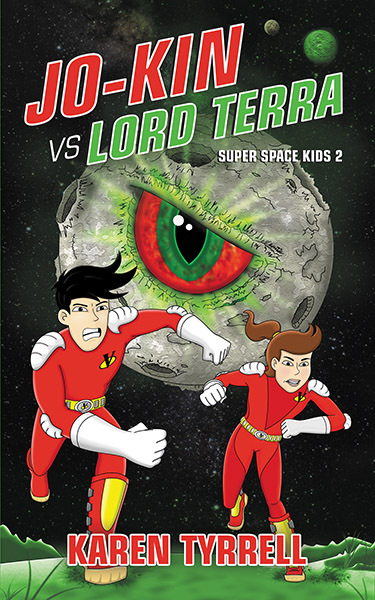 Stay tuned for Charlie and Tommy’s thoughts on Jo-Kin vs Lord Terra (Super Space Kids 2) … Coming soon to a galaxy near you. 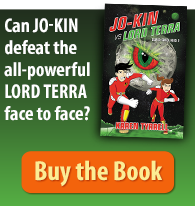 Did you enjoy the Review Jo-Kin vs Lord Terra (Super Space Kids 2)? I think the reviewer captures the essence of what makes Karen such a diverse author. Her stories always seem to teach and educate children about new things while running along at a frantic adventure like pace. 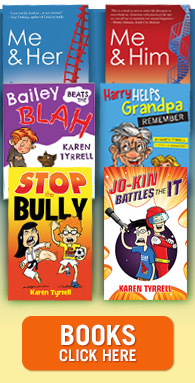 Kids love that, even my youngest daughter is hooked on the Jo-Kin books because as she says “they’re fast and funny”. Nice one Karen ! Great review, Karen. 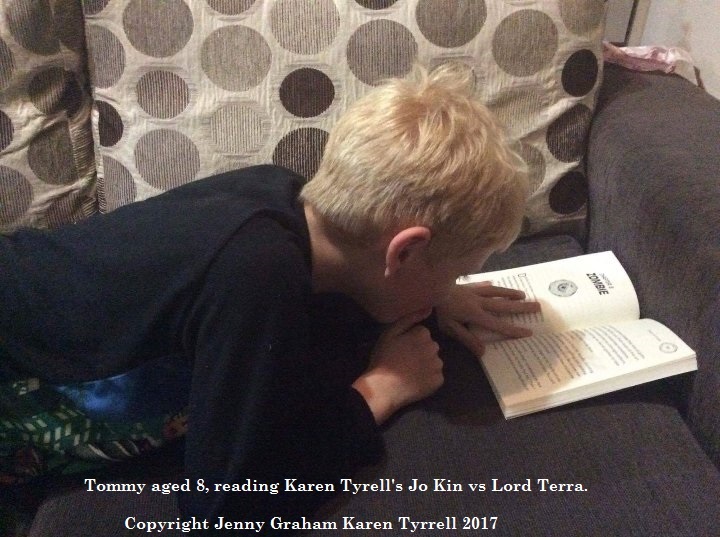 Isn’t it wonderful to hear from your young readers like this, and to know how excited they became about writing their own fantasy stories. It’s a fun read, so I’m not surprised the boys were so inspired. For checking out this review from a fellow educator Jen Graham. I’m thrilled with this review and others which came through on Goodreads for Super Space Kids Series.